OGI Optical Gas Imaging | VOC Volatile Organic Compounds | Thermal Imagers | T.M.I. Optical Gas Imaging Thermal Cameras can be used for Electrical High Voltage inspections safely on dangerous equipment identifying leaks of SF6 gas. Also for Furnace and other gas applications. VOC or Volatile Organic Compounds such as found in oil drill sites offshore. Thermography Level 1 & 2 Courses in South Africa. 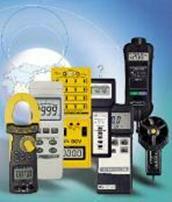 We offer Local and International Calibration Certification. Shopfront for Instrument Sales via Internet. GF320 Optical Gas Imaging Thermal Cameras. (OGI) Specially for Methane, Hydrocarbon and other Volatile Organic Compounds (VOC) Ideal for Oil refineries, petrochemical industries.